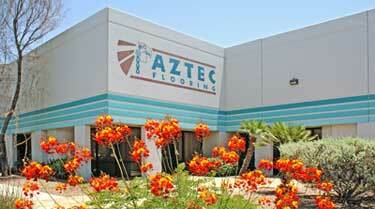 Established in 1967 in Tucson Arizona, Aztec Flooring’s reputation stands on over 40 years of reliable customer service. Our goal is to provide our customers with great selection, superior product knowledge, excellent service and expert installation at affordable prices. With the wide variety of products in our new Tucson showroom to meet your specific design needs, we take great pride in assisting you in making the perfect selection that is not only beautiful, but also within an affordable price range. Anyone who has shopped with us knows the Aztec difference. We offer thousands of styles and infinite color selections from all the name brands you know and love. Choose from such carpet and flooring labels as Mohawk, Dal Tile, Armstrong, Shaw, Beaulieu of America, Quick Step and Roppe flooring, along with many other national brands. We provide supper-sized samples and real world lighting. Aztec’s extensive showroom, staff, company installers and experience allow us to handle any size project. Because we are commercially priced everyday you never have to wait for a so-called sale.